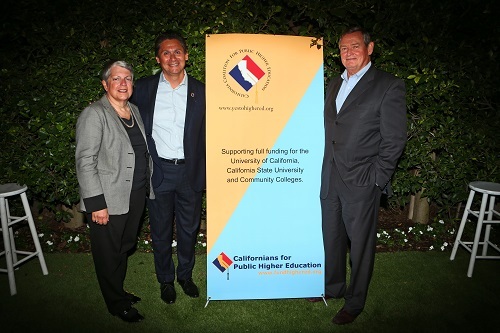 The three leaders of California’s higher education systems joined in a civic event convened by the California Coalition for Public Higher Education. University of California President Janet Napolitano, California Community College Chancellor Eloy Ortiz Oakley and California State University Chancellor Tim White spoke to the strides that have been made in the enrollment and graduation of California students and the fiscal challenges facing all three institutions. 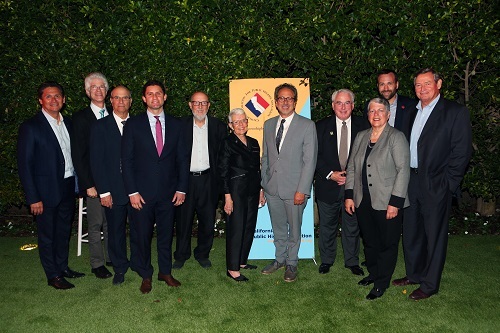 President Napolitano and Chancellor Oakley reported on the unprecedented agreement that will assure all qualified community college graduates the opportunity to transfer to a UC campus. Chancellor White highlighted CSU’s role as the primary source of teachers, engineers and other essential members of the state’s workforce. Although all three leaders acknowledged the recent progress in gradually increasing State support for higher education, there was a recognition that overall State funding for higher education remains well below historic levels. They also emphasized the critical need to address the infrastructure demands for all three systems. 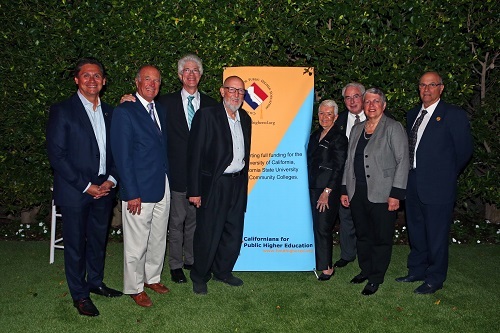 Coalition Co-chair Mel Levine, who moderated the discussion, brought up concerns about some recent legislative efforts to micro-manage public higher education, which has traditionally benefited from the leadership of independent boards. 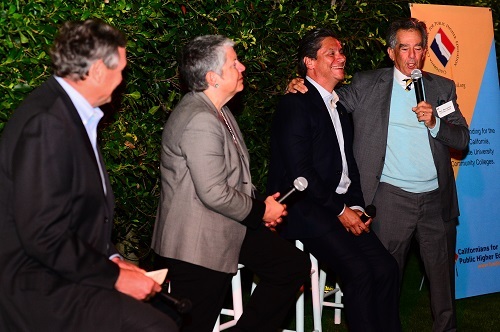 Nearly a hundred civic and community leaders attended the September 24 event at the Los Angeles home of Chip and Carrie Robertson.